eyes should be a high priority and part of an overall workplace wellness routine. Each day, about two thousand U.S. workers sustain a job-related eye injury that requires medical treatment. However, 90 percent of these accidents can be avoided by wearing eye protection. Workplace eye injuries cost more than $300 million a year in lost productivity, treatment and compensation. These injuries range from simple eye strain to trauma, which may lead to permanent damage, vision loss and blindness. This is particularly true for workers in construction, manufacturing and mining. Approximately, forty percent of eye injuries in the workplace happen in these three industries. If an eye injury does occur, an individual should seek care from an eye care professional or go to an emergency room for immediate care. Caring for your eyes on the job should not be limited to those who do physical labor, however. People who spend long hours working on a computer can experience eye discomfort. Focusing on small font type for hours on end can cause eye strain, fatigue and headaches. Staring at screens for long periods can also leave eyes parched and red, causing eyes to become dry from lack of blinking. This happens frequently as computer screens or other digital displays reduce a person’s blink rate by as much as 50 percent. Ensure that your eye protection is appropriate for the type of hazard that may be present in your workplace, such as flying debris, falling objects, chemicals, intense light and heat. Your eyewear must be American National Standards Institute ANSI- approved and OSHA compliant. You must use special-purpose safety glasses, goggles, face shield or helmet if you are near hazardous radiation welding, chemicals, lasers or fiber optics. If you are working on a desktop computer, try placing the monitor at an arm’s length away from your face. You may need to adjust the font size to appear larger at that distance. Eye strain and dry eye occur after long, continuous periods of viewing digital screens up close. To help alleviate this, take a break every twenty minutes by looking at an object twenty feet away for twenty seconds. Looking at a distance allows your eyes to relax and return to a regular rate of blinking again. 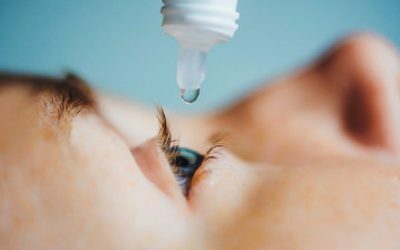 Normally, people blink about 14 times a minute and with every blink, your eyes are lubricated with fluid that contains moisturizing elements, including oil. 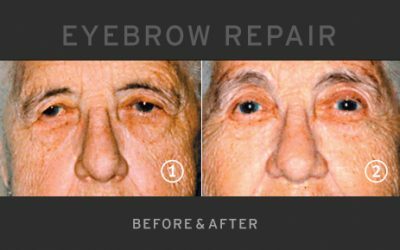 produce a strong glare that can aggravate the eyes. If you use a glass screen device, adjust the low light filter setting to lower screen brightness or use a matte filter to reduce eye strain. If your computer screen is brighter than your office surroundings, your eyes need to work harder to see. You can reduce eye strain by adjusting the lighting in your surroundings. 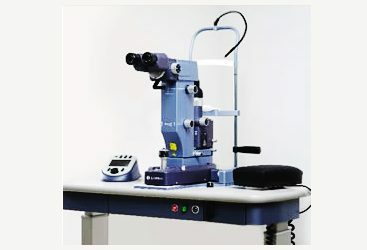 The iStent Trabecular Micro-Bypass device has recently been released for the treatment of glaucoma. 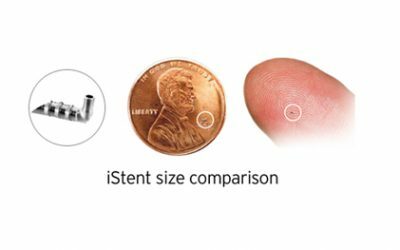 The iStent is the smallest FDA-approved medical device in existence! Smaller than the head of a pin, it is placed in the eye at the time of cataract surgery to help reduce eye pressure by enhancing fluid exit. Join our mailing list to receive the latest news and updates from Chippewa Valley Eye Clinic.